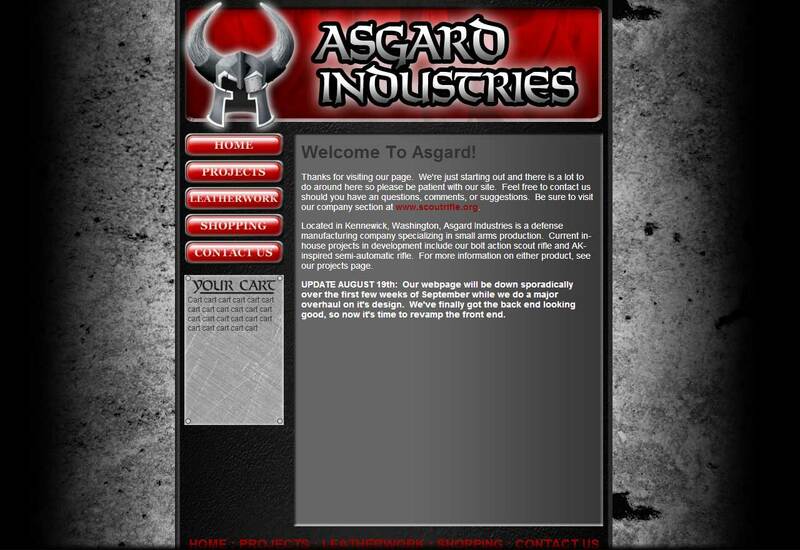 For machinists Asgard Industries, I built a brand identity and website template from a simple sketch provided by the client. I was contracted by Asgard Industries to provide a front-end template for their existing website, centered around a brand identity that I also developed from a rough sketch provided by the client. 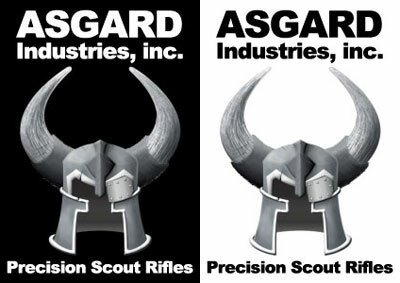 The logo idea revolved around a viking-style helmet with a riveted- on eye patch, meant to be that of Norse god Odin. I took the initial sketch from the client and worked it into two versions of the final logo: one with bold line work that could easily scale for a variety of uses, and one with a more artistic use of shading, meant to be printed in high resolution for a variety of marketing materials and branded apparel. To reinforce the Nordic theme, it was decided by the client that logos on the site would use a viking-inspired decorative font. The website leaned heavily on texture to reinforce the tough-as-nails image the shop was used to conveying in their marketing materials, using asphalt and brushed steel to its advantage. The template was a simple PHP page that included spaces for the store functionality.